Posted by Richard Foote in 12c, Attribute Clustering, Clustering Factor, Online DDL, Oracle Indexes. I’ve had a couple of recent discussions around clustering and how if you attempt to improve the clustering of a table based on a column, you thereby ruin the current clustering that might exist for a different column. The common wisdom being you can only order the data one way and if you change the order, you might improve things for one column but totally stuff things up for another. However, that’s not strictly correct. Depending on the characteristics of your data, you can potentially order (or interleave) data based on multiple columns concurrently. It’s quite possible to have good or good enough clustering on multiple columns and this is extremely important for indexes, as the efficiency of an index can be directly impacted by the clustering of data on the underlining tables. So even though the CBO has got the row estimates just about spot on, in both cases a Full Table Scan was chosen. We can see that by doing so, we have significantly reduced the Clustering Factor of the CODE index (down from 1748800 to just 17561) . The GRADE index though has changed little as there’s little co-relation between the CODE and GRADE columns. The CBO has not only used the index, but the query is much more efficient as a result, with just 273 consistent gets required to retrieve 40000 rows. We notice we now have an excellent, very low Clustering Factor for the GRADE index (down to just 17582). But notice also the Clustering Factor for CODE. Although it has increased from 17561 to 30231, it’s nowhere near as bad as it was initially when is was a massive 1748800. The point being that with the data already ordered on CODE, Oracle inserting the data in GRADE order effectively had the data already sub-ordered on CODE. So we end up with perfect clustering on the GRADE column and “good enough” clustering on CODE as well. We notice we have a near perfect Clustering Factor on the GRADE column (just 17583) and a “good enough” Clustering Factor on the CODE column (27540). We now have the same excellent Clustering Factor values as we had in the previous example. Depending on data characteristics, you could potentially use the Interleave Clustering Attribute for good enough Clustering Factor values on your multiple columns, rather than perfect clustering on specific columns. So it is entirely possible to have the necessary data ordering you need for effective data accesses on multiple columns concurrently. One of the really cool new features introduced in 12.1.0.2 is Attribute Clustering. This new table based attribute allows you to very easily cluster data in close physical proximity based on the content of specific columns. 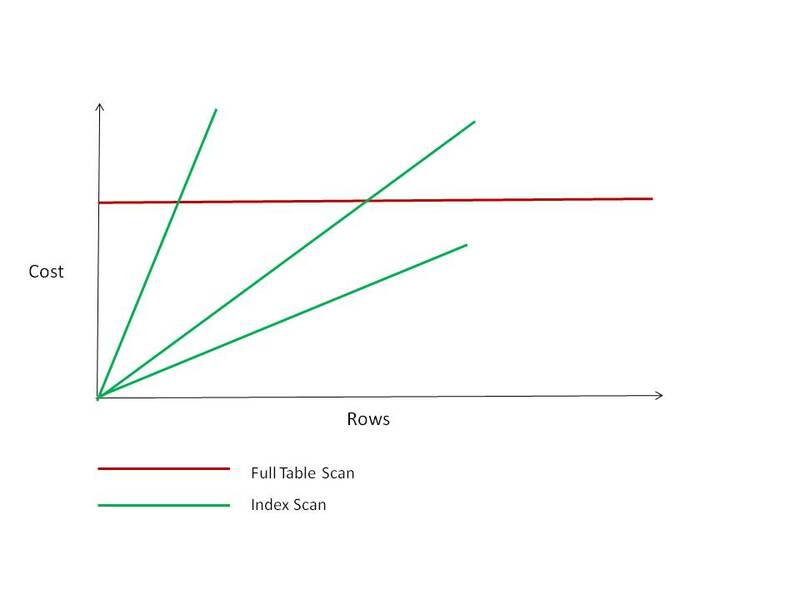 As I’ve discussed many times, indexes love table data that is physically clustered in a similar manner to the index as it can significantly improve the efficiency of such indexes. A low Clustering Factor (CF) makes an index more viable and is one of the more important considerations in CBO calculations. But not only database indexes benefit from well cluster data. Other index structures such as Exadata Storage Indexes and the new Zone Maps (to be discussed in future articles) all benefit from well clustered data. Additionally, compression is likely to be much more effective with data that is well clustered and this in turns also impacts the efficiency of In-memory data (again, to be discussed in future articles). So having the capability to now easily cluster data in regular heap tables has potentially many benefits. For a table with 2 million rows, a CF of some 703,133 is very high and the index is going to be very inefficient when retrieving high numbers of rows. At a cost of 7081, the index is way more expensive than the 383 cost for the FTS. The poor clustering of the CODE data within the table has made the index non viable. The CLUSTERING BY LINEAR ORDER clause orders data in the table based on the specified columns, in this case the CODE column. Up to 10 columns can be included using this particular technique (there are other attribute clustering options which I’ll again cover in later articles, yes I’ll be writing quite a few new articles) 🙂 WITHOUT MATERIALIZED ZONEMAP means I don’t want to create these new Zone Maps index structures at this stage which could potentially reduce the amount of table storage needed to be accessed (again, I’ll discuss these at another time). You must use a direct path insert to make use of attribute clustering (or reorganize the table as we’ll see). Notice the SORT ORDER BY step in the insert execution plan. This implicitly sorts the incoming data in CODE order to satisfy the attribute clustering requirement. We notice the default CF is indeed significantly lower at just 7072 than the previous value of 703133. We notice the CBO has now decided to use the index. This is due to the cost of the index based execution plan being just 114, significantly lower than the previous index cost of 7081 or the FTS at a cost of 383. Just as importantly, the resultant number of consistent gets has also significantly reduced to just 121, significantly less than the previous 7081 consistent gets when using the index. So the index is indeed much more efficient to use and the CBO costs for this is just about spot on. The end result is that performance has improved. The query likewise uses the index and with far less consistent gets and performance is significantly better. Posted by Richard Foote in Clustering Factor, Index Rebuild, Indexing Myth, Oracle Indexes, Quiz, Reverse Key Indexes. Excellent !! This quiz created quite a bit of debate and it was nice to sit back and read some interesting discussions. The Clustering Factor is basically the measurement of how well aligned the data in the underlining table is in relation to the index and is the number of table related I/Os required to read the entire table via a full index scan. A value of the CF approaching the number of blocks in the table suggests the data is reasonably well sorted/clustered in relation to the index (although the CF could in theory be somewhat less than the blocks in the table of course). A value of the CF approaching the number of index entries suggests the data is not particularly well sorted/clustered in relation to the index and means we may need to re-visit the same table block numerous times to get the required data, thus decreasing the efficiency of using the index, increasing the costs associated with using the index and therefore decreasing the likelihood of the CBO using the index. So for an index rebuild to actual have an impact on the CF on an index, means either the rows in the table needs to change or the order of the index entries needs to change. However, when we typically rebuild an index, it has no impact at all on the table and so can’t possibly change the order of the rows there. Additionally, no matter how fragmented or inefficient the index structure might be, an index rebuild doesn’t change the order of the index entries either as they’re always sorted within the index in the order of the indexed columns. Therefore an index rebuild typically has no impact at all on the CF of an index, no matter the current value of the CF. If we rebuild the index and change it from a NOREVERSE index to a REVERSE index, we now do change the order of the index. Significantly so, as the index entries are now in the order of the index column values when reversed. Therefore this can in turn significantly change the CF of an index. Conversely, if we rebuild an index and change it from REVERSE to NOREVERSE, we likewise significantly change the order of the index entries and hence the value of the CF. For a nice little demo, see David Aldridge’s comment or my previous discussion on Reverse Key Indexes. So the moral of this story is that no matter how poorly fragmented the index, how high or low the current CF of an index might be, rebuilding an index in order to improve the CF is a futile exercise and will change less than diddly-squat, except in the above mentioned special circumstances. Posted by Richard Foote in Clustering Factor, Index Rebuild, Oracle Indexes, Quiz. Today’s question has been prompted by various recent comments regarding the Clustering Factor (CF) of an index and how to change the CF requires a reorg of the underlining table. It used to be quite a common myth that if the CF of an index was greater that “X” or based on some nonsensical formula the CF was greater than “Y”, then rebuilding the index somehow made everything better again. I believe it’s now much more commonly accepted that rebuilding an index does not change the CF of an index in any way. By rebuilding an index, the actual order of the index entries remains unchanged as does the order of the rows within the table and so the resultant CF can’t possibly change. Pick any index, no matter how bad the CF or badly fragmented the index or table, take fresh statistics and after rebuilding the index (and fresh statistics if compute statistics on the index isn’t performed), the CF will remain the same. Give an example of when rebuilding an index will significantly change the actual CF of an index, assuming 100% accurate statistics are gathered before/after the index rebuild on a table with no DML.